Sumit Khosla is a Partner at Accuracy, siting across Europe and India. He has over 20 years’ experience in the Transaction space and specialises in cross border transaction advisory. Sumit’s experience combines M&A Director position within a large international Corporate together with Transaction Advisory exposure in the consulting space based out of Paris, London and New Delhi. He has a broad range of credentials in M&A advisory, due diligence and valuation in the context of cross border transactions. 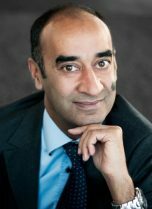 Sumit has extensive experience of post transaction valuations, including in contentious circumstances, and has been involved in international arbitrations in matters related to Joint Venture and post transaction price adjustment disputes. In 2011, he joined Accuracy to open the New Delhi office before moving back to Europe focusing on cross border engagements. Sumit speaks French, English and Hindi. Sumit has been in charge of handling complex M&A processes in the context of cross border acquisitions. He has also provided both buy-side and sell-side transaction support services such as financial due diligences, business plan analysis, valuations, complex carve-outs and vendor assistance services. Sumit has also acted as an independent expert appointed in the context of a shareholders’ agreement to determine the value of shares or in the context of a Share Purchase Agreement to determine a price adjustment. He has provided evidence before LCIA, SIAC and New Delhi Company Law Board. Valuation expert to assess share value in the context of a dispute between two Joint Venture partners in the auto components space before the Company Law Board in New Delhi.